The Animal Rehabilitation and Protection Front is a youth based , result oriented wildlife organization that originated in the mind of an engineering student Nihar Parulekar. It rapidly became a platform for wildlife enthusiasts to learn and educate others on the importance of conservation and respect for the Environment. In under 3 years, ARPF has grown from a group of merely 20 wildlife enthusiasts to having its own voluntary force of more than 3000 individuals all over India. Be a part of the force. ARPF was first started as a voluntary wildlife conservation club on 23rd January 2011. The organization was then named as "ANIMAL RESCUE AND PROTECTION FORCE" with a mere force of 20 volunteers, all students from different backgrounds. 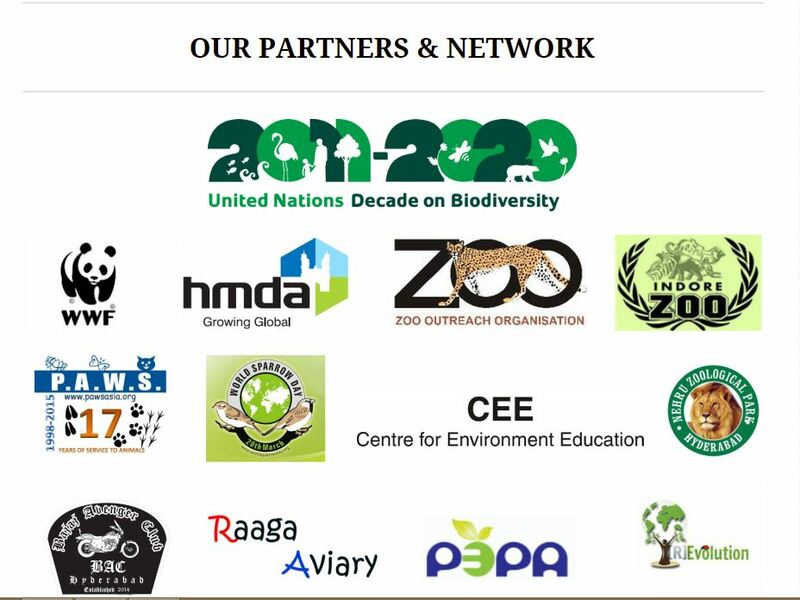 Later the club was registered as an NGO on 31st March 2011 under the name "ANIMAL REHABILITATION AND PROTECTION FRONT " because of the growing force and initial success of our first project - The Zoo corps. Today ARPF is spread all over India with its branches at Hyderabad / Indore / Pune / Vizag and is the fastest growing result oriented youth organization in the country.